Once again, we're expanding our drop in style kits for SB Ford. Here is another drop in style beehive spring kit for GT40 heads. This version is for moderate hyd roller cams with up to .580" lift. Works well with high ratio rocker arms. We put this kit together for street performance enthusiasts interested in upgrading to HP beehive springs w/ light weight retainers. Use for cams between 218-226 degrees duration @ .050" (on the intake, higher duration figures are allowed on the exhaust) For bigger cams, take a look at our other spring kits. Works with Ford's B, E & F cams as well as many other street performance profiles. These beehives fit right onto the stepped spring base of GT40 heads without the need for machine work; also known as a "drop in fit". The springs are manufactured using premium grade multi arc "ovate" wire and are made here in the USA. Springs are supplied to us by PAC racing springs. Parts included are: Chrome Moly Retainers, Beehive Springs and Hardened 7 degree locks. Spring seat machining is not necessary, the spring fits right onto an OE SB Ford stepped spring base. If required, order the kit to work with .393"/.393" tip length valves. 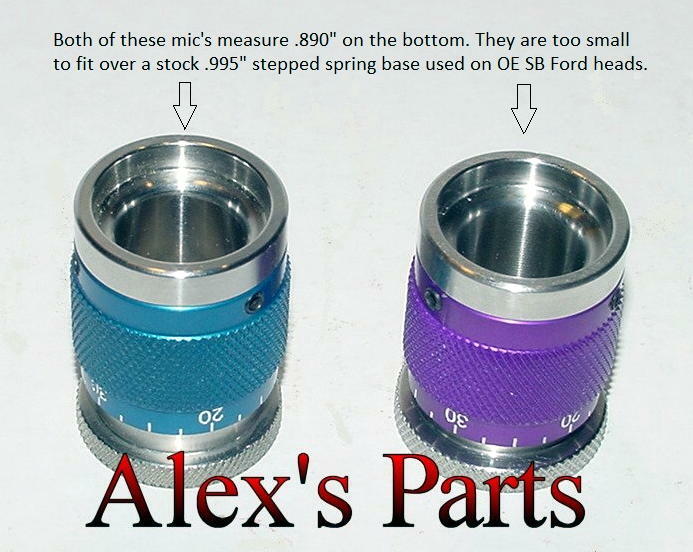 Use this option for Ford racing valves w/ .383"/.383" tip length valves. This kit is currently being offering at a discounted price. Pick up a custom built beehive spring kit for around the same price the other guys charge for their beehive springs alone! Our customers know we're serious about spring kits. Our quality can be compared to parts selling for well over twice the price and we continue to step up our game with improvements in materials and design. When you order from us, you're getting the best possible valve train value available. Average shipping delay is around 7 days after order date. If you need it quicker, be sure to order early or contact us about rush order costs/options. 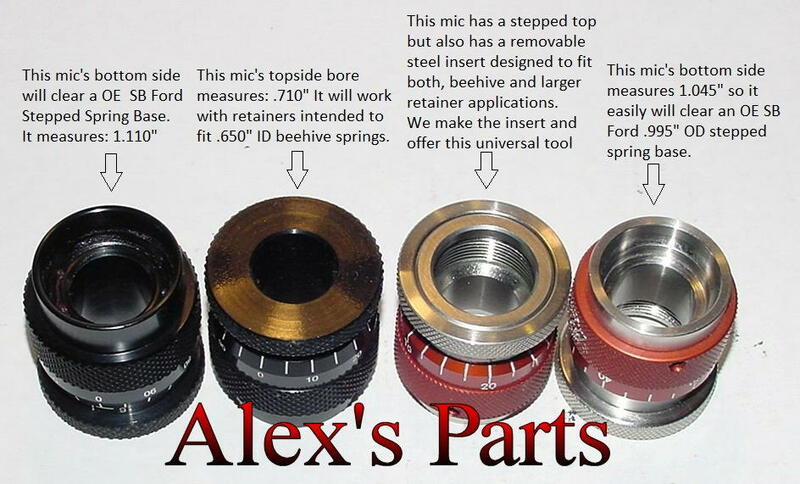 Alex's Parts~ Excellent value in valve train parts . Click the button below to add the *NEW* Drop in style Beehive Valve Spring Kit, SBF GT40, For Moderate Hyd Roller Performance Cams to your wish list.